No stopping on event days! 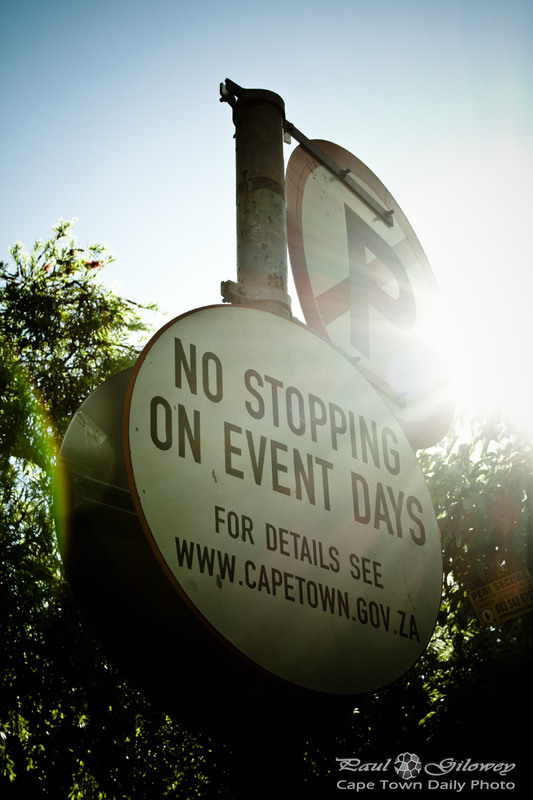 There are hundreds of these signs to be found around the Cape Town Stadium in Green Point - especially in the residential side streets that would be completely jam-packed with cars when a music or sport event is held at the stadium. Imagine what it would be like for residents if people were allowed to park wherever they pleased. The roads are often so narrow that it would be impossible for residents (and perhaps more importantly, emergency vehicles) to navigate the streets in the hours surrounding an event. Posted in General and tagged signs on Friday, 23 March, 2012 by Paul.